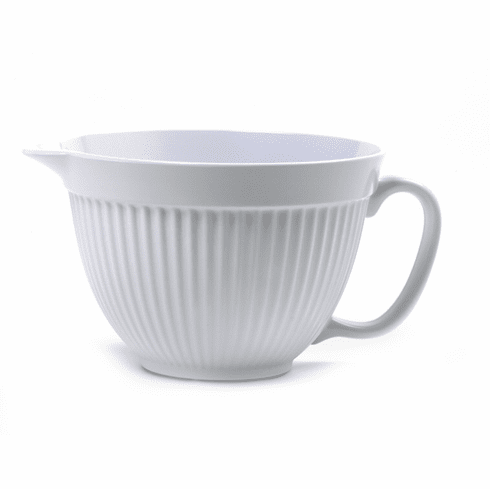 You will find our melamine batter bowl so handy for mixing, pouring and storing cake, pancake, waffle and crepe batters. Measures, 8.75"/22cm tall Holds, 4Qt/3.8L Made of durable melamine and come with non-slip bottoms, so they stay put on slippery counters. Built-in spout and handle means easy pouring. Textured on the outside, smooth on the inside and comes in White. Dishwasher safe. With rubber ring bases.